Great intro to Hyman’s “Pegan” diet, and you’ve got to love a reasonable middle ground. The Pegan diet seems logical, scientific, and doable. Let’s face it, most of the universe acknowledges that the food pyramid is majorly broken and our stores sell more garbage than real food and nutrition. It’s just so hard to figure out what we really can eat, especially if we have specific goals for our diets. 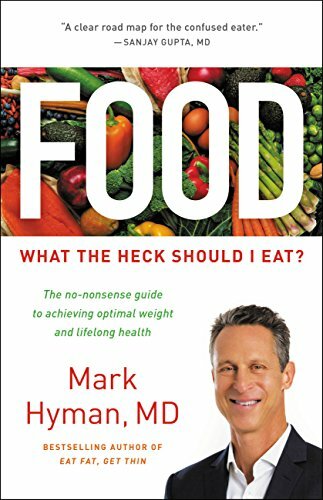 I hadn’t read any of Mark Hyman’s books before, but I was intrigued by the Pegan diet premise and his emphasis on functional medicine. The traditional medical community has failed so many people that I know. They keep treating the symptoms and not the causes. So we’ve had to do so much on our own. I’ve read so many books and articles on paleo and autoimmune protocol, not to mention having read about and tried vegetarian in the past. Frankly, I’d love eating vegetarian if it didn’t make me sick as a dog. Well, okay, that and the fact that I was born a carnivore reaching out for a T-bone steak. My daughter and I have celiac disease, food allergies, and multiple autoimmune diseases, and only two of our doctors have even talked about diet. Sticking to the paleo diet is just so incredibly hard when you can’t eat so much of what’s on it. We keep having to modify things to have a variety to eat and it feels as if we’re disobeying the rules. Dr. Hyman makes a lot of sense, so I’m going to stop feeling guilty about some of the things that we include in our diet, such as buckwheat, some dairy, and lentils. Reading about the Pegan diet gives me hope that there’s a reasonable middle ground that’s clean enough and doable enough that our family can stick to it. Some of the foods he recommends that you not eat are things that we can’t eat anyway so that’s actually a win for us, finally, LOL. Dr. Hyman may have designed a diet that my family can live with. We’re about to find out! I received an Advanced Reader Copy (ARC) from the publisher on NetGalley. (Although I was approved on NetGalley after I had already purchased this book, read it, and reviewed it, I’m including that information here for full disclosure.) My opinions are my own.